Is your curly hair giving you fits because it takes too long to dry and is so hard to style? Well then maybe a new hair dryer will help you achieve what you are looking to accomplish when drying and styling your hair. 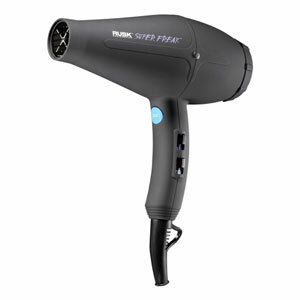 There are plenty of good hair dryers in the beauty marketplace such as this fine hair dryer from rusk that will dry your curly hair quickly and help you shape it the way you want too. Take a closer look at it with me as I review this hair dryer. There is simply much to like about this fine hair dryer from Rusk engineering. It starts with its titanium and ceramic heater coatings. Titanium helps this hair dryer get up to working temperature quickly and the ceramic coating distributes that high heat very evenly. The way this hair dryer works is further enhanced by the fact it uses far infrared technology to produce the heat it makes. Far infrared heat is known to be very gentle on curly hair strands because it heats then from the inside out and therefore does not damage them. 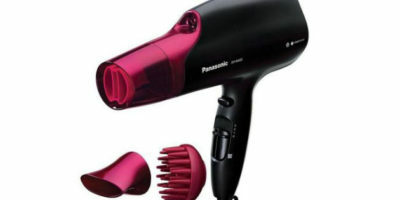 This RUSK Engineering hair dryer also has tourmaline crystal infusion in it. It’s a type of infusion that helps your hair retain its critical moisture better so it helps eliminate such things as split ends and frizz. 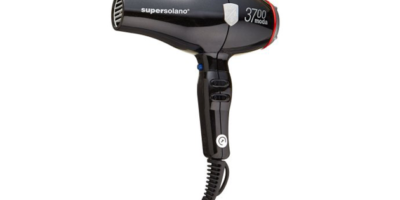 Also not to be easily overlooked is this hair dryer’s lightweight 1.1 pound design. When you need to style curly hair you need plenty of heat to accomplish that. Think of it as heating up some clay so you can remold it. That is the exact ability that this Rusk engineering gives you when it comes to reshaping your curly hair. The high heat and airflow its 1900 watt motor produces will let you do all that and more. You can even fine-tune the heat and air settings to meet your individual needs. The RUSK Engineering Professional Dryer has seven different heat and airspeeds to select from. That is the exact type of versatility that is needed for drying and styling different types of curly hair. I told you that this hair dryer is very powerful. That is not a bad thing unless you are one of those users that want to use it on low air and temperature settings. Even on the lowest settings, it seems that the RUSK Engineering Professional Dryer still produces a good amount of heat and airflow. Some users were not thrilled with the switch location on this hair dryer either. They claimed it was easy to accidentally hit them, especially the on/off switch. This is something that Rusk Engineering should look at because it can take away significantly from a good overall user experience. It was really hard to find some things that we did not like on this hair dryer. Even the somewhat less than ideal switch position and the fact it has good power even on the lower settings were not a deal breaker in my eyes. It has such great power at 1900 watts that it produces plenty of heat and airflow to help you easily dry and style your curly hair. Other technologies that are built into this hair dryer such as its far-infrared heat, tourmaline negative ion infusion, and titanium/ceramic heat transfer make this one incredible product. This RUSK Engineering Professional Dryer is definitely worth considering if you are in the market for a new blow dryer to use on your curly hair.